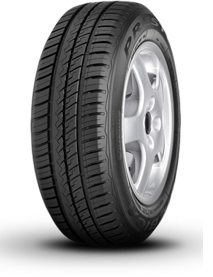 A high performance tyre for summer driving, the Presto offers superior handling in both wet and dry conditions. This is due to numerous cuts in thread blocks and the innovative asymmetric thread pattern which combine to effectively evacuate water. The Debica Presto combines features of comfort and superb tyres to enable safe and comfortable driving at high speeds.